Since the term “omni-channel” was first coined by the Harvard Business Review in 2011, some marketing technology vendors claimed that they could provide businesses with this holy grail of brand ubiquity. Unfortunately, most of these early claims were false starts where vendors over-promised and under-delivered. The good news is that a select number of solutions have caught up with all the promises and can now turn them into action. 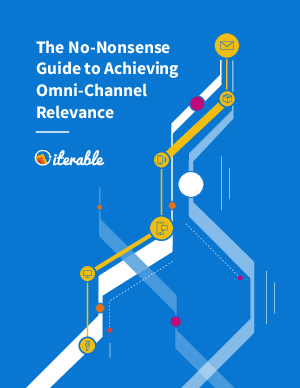 In this guide, we explain why the conversation around omni-channel marketing has changed and how you can transform your marketing strategy to leverage this new, powerful technology. We’ll give you a heads up on the roadblocks you’ll encounter on your journey to achieving omni-channel relevance and the benefits you’ll gain once you reach your destination. No highfalutin jargon, no talking in circles and no nonsense. Just practical advice on how to create a superb customer experience.